A lot of painters like the tried and true—the brush and roller. But large jobs and rough textures are great opportunities to bring in the big guns: spray guns. When working with spray guns, proper prep and cleaning are essential. It’s also important to find one (or a few) that work for your particular job types. We asked five painters about their choices. Joel Hamberg is a long-time fan of spray guns. “I’ve been using them since 1977 and they’re definitely money makers” he says. “Guys who are brushing and rolling are missing out.” Hamberg, who started Joel Hamberg Painting in Portland, OR in 1984, has a few different favorites depending on the project. For spraying a deck finish, lightweight stain, or water-based finish—where a small pump is called for—Hamberg prefers the Titan Impact 440. “It has consistent pressure, which you can also dial way down if you need to,” says Hamberg, who is on the national board of directors for PDCA. For everyday projects like exterior painting, Hamberg likes the Airlessco ProSpray 606. For heavy-duty commercial work, he recommends the Graco GM 3500 Airless Paint Sprayer. Bill Harrison started A&S Painting (named after his daughters, Amanda and Sydney) in Chicago about 10 years ago. Harrison doesn’t use spray guns very often, but knows that some jobs are simply too big—and some surfaces are too challenging—to roll. When he does turn to a spray gun, he’s a Wagner fan. For smaller jobs, he says, the Wagner Power Painter is the way to go. “I use the Power Painter mostly for staining,” he says.” The handheld spray gun holds one quart. “When you’re staining, that goes a long way,” Harrison notes. He also appreciates how easy it is to change the direction of the spray—it’s as simple as turning the tip, he says. And, Harrison adds, it’s easy to clean. It’s also very affordable, he says. When he needs a sprayer for a bigger project, he opts for the Wagner ProCoat. The 2800-PSI electric-piston pump spray gun has the versatility of a one-gallon or five-gallon pail. “This is a nice option when you’re working outside in the heat and you don’t want to have five gallons of paint sitting outside,” Harrison points out. Plus, easy cleaning earns it a gold star in Harrison’s book. Like a lot of painters, Claiton De Araujo has more than one go-to sprayer. With 11 years on the job at CertaPro Painters of the Main Line, De Araujo is a crew chief for the Philadelphia-based company. He likes the Graco FinishPro II 595 PC Pro. 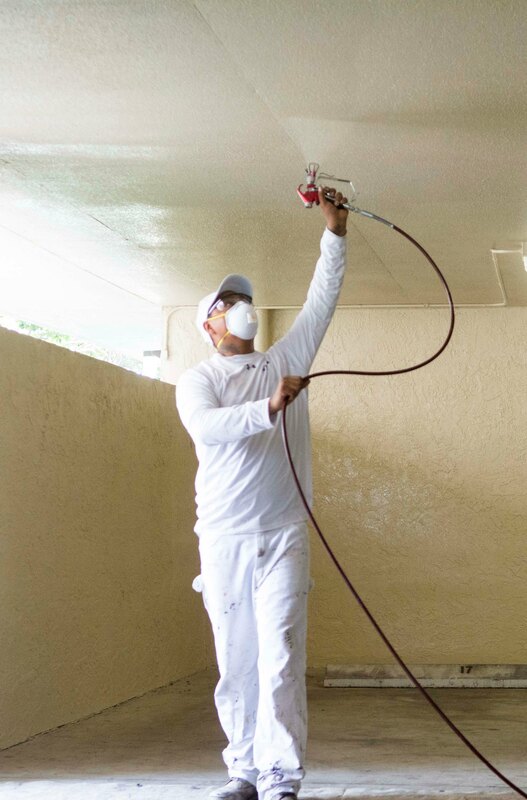 For fine-finish work, he opts for the Titan Capspray 75 HVLP. He says this air-assisted spray gun is small but extremely powerful. Portability, durability and affordability are the keys for David Hovey, a 20-year industry veteran. The operations manager at FreshCoat Painters of Santa Barbara likes the Graco Ultra 395 PC and the Titan Impact 440. Both machines, he says, are great for small jobs for spraying stains, enamels, latex, and other low- and medium-viscosity materials. “They’re even great for lacquers,” Hovey says. And while Hovey likes the small sprayers for their portability, sometimes you need a bigger sprayer. That’s when Hovey reaches for the Titan Impact 740. 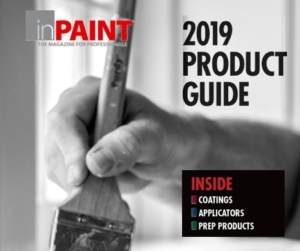 For 14 years, Fabio Silva has worked as a painter for CertaPro Painters of the Main Line in Philadelphia, managing a wide variety of jobs interior and exterior, residential and commercial. In his time in the industry, Silva, a crew chief, has become a Graco guy. For interior walls and ceilings and exterior woodwork, he turns to the Graco Ultra Max ll 695 or 795 Electric Airless Sprayers. He has other, larger Graco spray guns for exterior work and roofing, too. Silva says that at least half of his spray guns are more than 10 years old. “They’re still working as well as the new ones do,” he says. And when something does go wrong, fixing them is a breeze. “One reason I use only Gracos is that it’s really easy to find parts, and I can easily fix them myself,” he says.